Members of the Liliaceae family include the allium group (onion, shallot, garlic and chives). 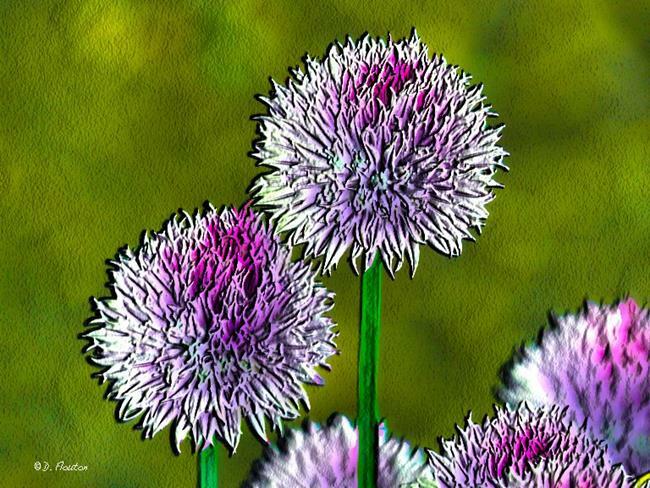 I love the pompom bloom of the chive, a beneficial member of the family, as it is used for food. They are just beginning to 'pop' in my garden now and soon the bees and other insects will be buzzing about their fluffy tops. These were photographed and digitally enhanced to make them pop even more.